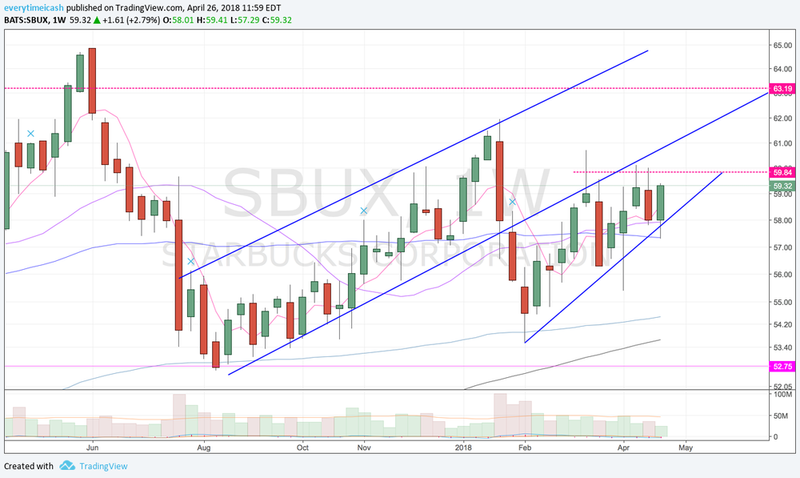 Starbucks (SBUX) will report Q2 earnings this afternoon (16:05 last quarter) with a conference call to follow at 4:30 PM ET. The Street expects FY 18 EPS of $2.49 on revs of $24.79 bln (+11%). 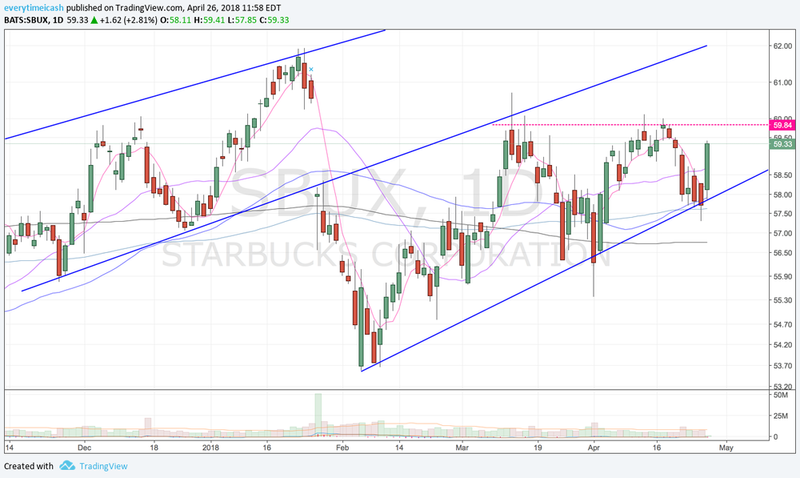 SBUX trades at 19x earnings estimates compared w/ its biggest publicly-traded competitor Dunkin' (DNKN 16x).